New Years Resolutions - Get in alignment with your life mission and purpose and make this year all it can be! New Years Resolutions - Do you want to make it the best year ever? What is on your agenda for the upcoming year? 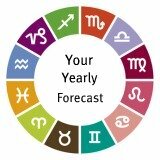 New Years Resolutions and astrology - the stars will help light your way. What's Astrology Got To Do With It? There are so many options to help you plan your upcoming year and to make it a success. You can choose to have a personal computerized version of any of our reports. They are all economical in price and can offer a clear map for you upcoming year. Not sure what will work in line with your goals. Ask us? Share your thoughts. What's worked in the past for you? How do you think astrology can help you even further. The quality of this time is that it can set the year to come. Your birth data is the basis of a horoscope that will describe the astrological factors in effect for this upcoming year and. It gives you guidelines to set the tone what lies ahead and make it a success. This time is so important and needs to be organized and looked at with excitement. This is especially true if one accepts the premise that thought creates, or influences reality.